For one reason or another, whenever I try to plan a trip in the Philippines, it becomes unplanned. And so it was that we arrived in Vigan City, without even a clear idea of what things there are to do there. What are the things to do in Vigan? I wasn’t even supposed to be in Vigan last October. My Filipina friend and I were supposed to go to Batanes. It was supposed to be a group holiday, with her friends coming along. And since Jason was considering the Philippines as a stop on his tour of Southeast Asia anyway, he was an invited +1 to the group. But [stuff] happened, and Batanes became Vigan. And somehow ‘group’ became 5. And then 5 became 2. But we were determined to make the best of it. After all, we were in a UNESCO Heritage City. 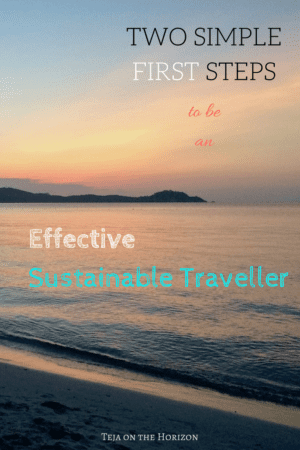 Surely, there must be things to do in Vigan! 3.2 ◊ But also… a dive centre?? 3.4 ◊ But are you game for a bit of chess? 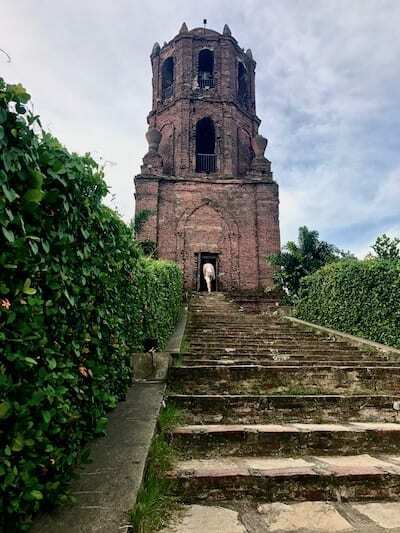 3.7 Bonus Activity – a hike near Vigan! Travel within the Philippines usually means transiting through Manila, or at least a Philippine regional capital like Cebu. The nearest airport to Vigan is Laoag City, located to the north of it. Due to flight schedules, you may not be able to transfer to Laoag via Manila in the same day, if you are arriving from abroad. An overnight stay in Manila was necessary for us. The airport terminal of Laoag is not big. But there is a counter for tourist assistance where you can enquire about transport to the bus station. I prefer doing this within the airport, since I prefer to avoid lengthy negotiations for transport, which unfortunately is common in Asia. From the bus station it is a simple matter of getting tickets to Vigan, a journey of about 2 hours. From there, we took a trike to get us reasonably near to the old part of Vigan City. The trike is pretty much the sole means of getting around, unless you hire a car. Our trike was really small, and I doubted that we could fit in the sidecar with our luggage carried along as well. But there weren’t many choices when we arrived, and the driver was adamant. He crammed us into his sidecar, lashed our luggage together behind him (yes – behind him! ), and off we went! I’m not going to give you a guide of Vigan, because you can find that online already, often by Filipinos themselves. Like this one. 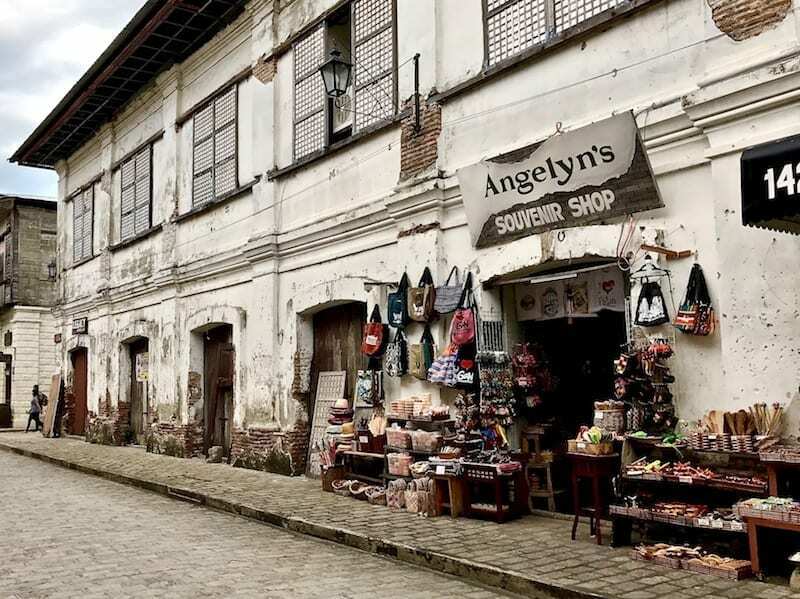 But in short, Vigan is a city from the era of the Spanish colonisation of the Philippines. The old city is relatively extensive and well preserved, hence its UNESCO designation. Located in the region of Ilocos Sur (Ilocos south), Vigan feels different to me than other places I’d been in the Philippines. For one thing, there’s more Spanish left into the names of streets and places. For another, people speak Ilocano, which is not the same as Tagalog – so Iocals are trilingual (counting English). It is conservative, having the feel of an old-world respectability. It’s the first provincial destination of the Philippines that I’ve been. But I melted easily into it, since it is a feeling quite reminiscent of the small towns of Malaysia. Calle Crisologo is the most famous street, and is indeed incredibly charming. Brick and cobbled paved streets, lined by Spanish influenced Filipiñana architecture. Somehow the very way its feet crumbles, exposing brickwork spotted with age, is enchanting. It is a similar charm as Penang and Melaka in Malaysia – themselves UNESCO Heritage Sites. It was certainly the right decision to stay within the heritage area. But also funny. I also found it funny to see kalesa parking lots. Ilocos (the region that Vigan is in) is famous in the Philippines for their cuisine. In fact, even though my friend was not able to come, she ‘didn’t mind’ if I brought back souvenirs from Vigan, perhaps longganisa. 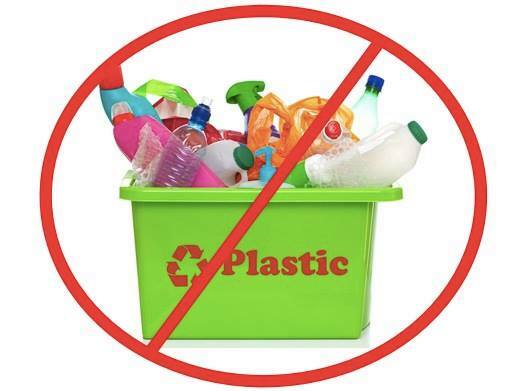 However, be aware that a lot of these delicacies are out of bounds if you are vegan, vegetarian, keep halal, or kosher. There is fish on the menu, and you can get vegetarian empanadas, so it is not actually too difficult for a Muslim. However, overall I think the food range is limited if you’re vegan. This far away from the urban centres with more cosmopolitan tastes, food is a lot more local – which in the Philippines often means few veggie options. 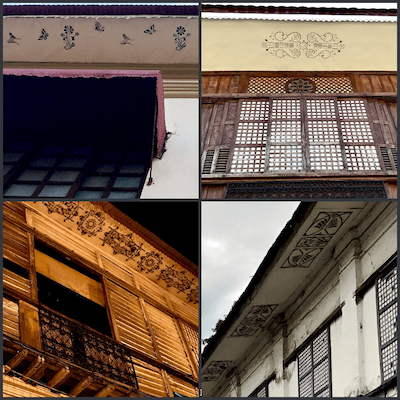 As you wander the streets of old Vigan, don’t forget to look up. The soffits of the eaves of many of these old buildings have a unique feature; one that I have not noticed anywhere else I’ve been. They are beautifully stencilled in repeating patterns. Most patterns are classic motifs, but I found one that’s a bit more art deco with butterflies and flowers. I can’t remember where I read this tip, so I can’t credit the source here. But the tip is this: if you need to change money in Vigan, the money changer with the best rates is not where you would expect to look. It is located inside the Two Brothers grocery store at the corner of Quezon Avenue and Florentino Street. 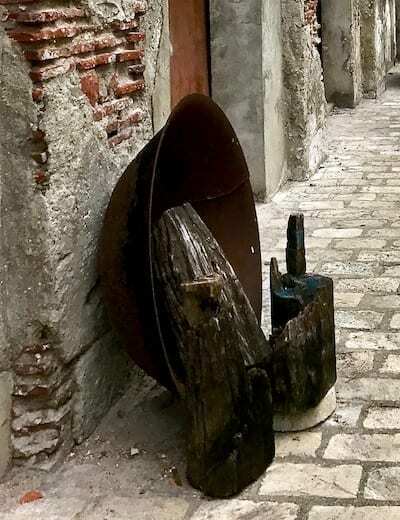 Over the next couple days, we wandered around on foot, led mostly by online information I managed to compile for the typical things to do in Vigan. However, along the way, we also stumbled upon other interesting things, which are less typical! 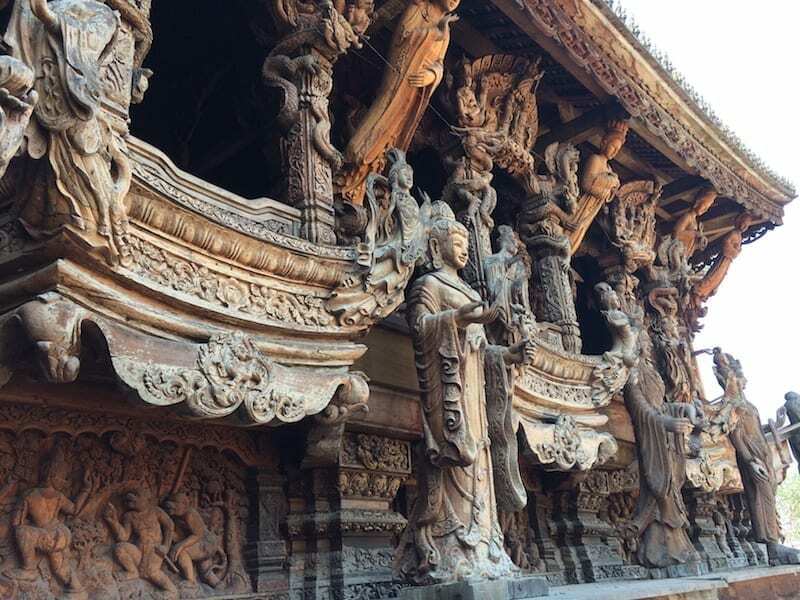 The Philippines has a really complicated and convoluted history (at least, to a Malaysian). Just their basic history requires keeping track of a heck of a lot of things that were going on at the same time. So I’m not even going to pretend I correctly remember enough of the things I learned from the museums of Vigan. Because of this, it’s worth dropping by the area around Burgos Street and have a look into the Museum Complex. Aside from (or maybe because of?) Vigan’s history as a Spanish colonial city, the area attained significance by being the site of Ilocos resistance against colonial oppression. 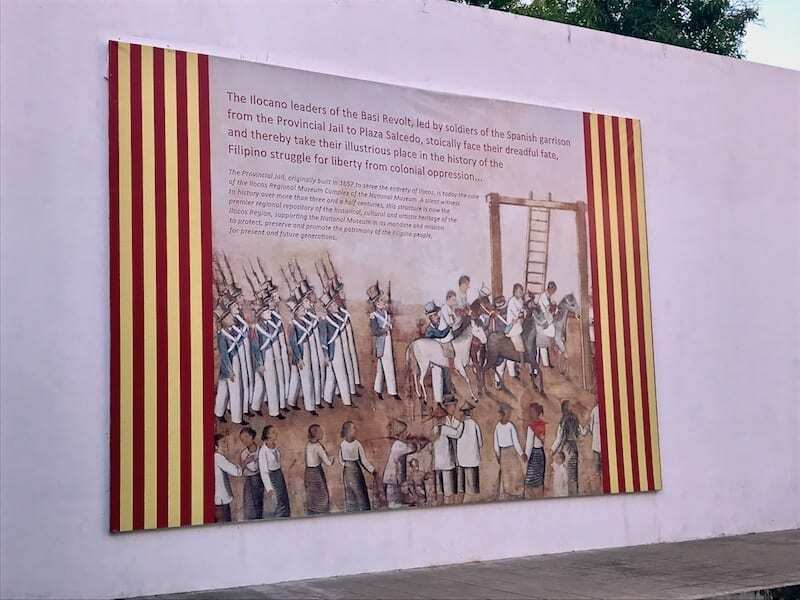 There are many references in the city to Father Burgos, a resistance figure in Philippine history, who was born in Vigan. The Ilocanos are clearly proud of their history. ◊ But also… a dive centre?? We were wandering back from the museums, and passing by a block of government buildings. And I did a double take. Was that a diver’s flag on that door? What?? In Vigan??? I was about to explain to Jason what made me suddenly stop short, when a group of people streamed out of the building. Probably the work day was just over. Among the Ilocos locals, was a white guy. Double what?? So clearly, two young Caucasians surrounded by Asians are gonna say hi. 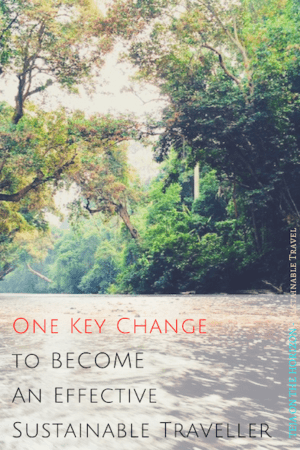 And that was how we met Matt, a Tagalog-and-Ilocano-speaking American marine biologist on a Peace Corps mission in the Philippines. It turns out that there is indeed a dive centre in Vigan. 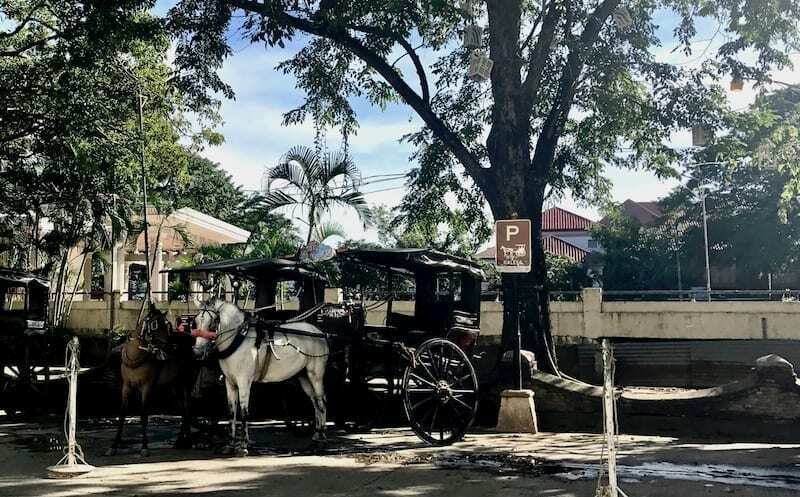 Located in the building of the library near the corner of Quezon Avenue and Burgos Street, it is relatively new, an initiative to expand tourism offerings and recreational activities in Vigan. At that time, they were in the early stages of surveying the coastline of Ilocos Sur to determine the condition of the marine environment and identify likely dive sites. I had not thought of Vigan as a dive destination at all, and was completely unprepared to take advantage of the discovery. 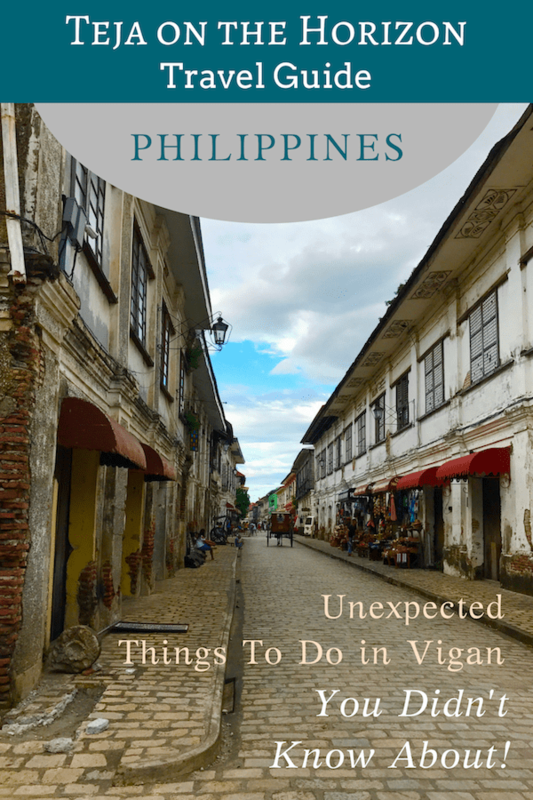 Nobody ever mentions diving among the things to do in Vigan! 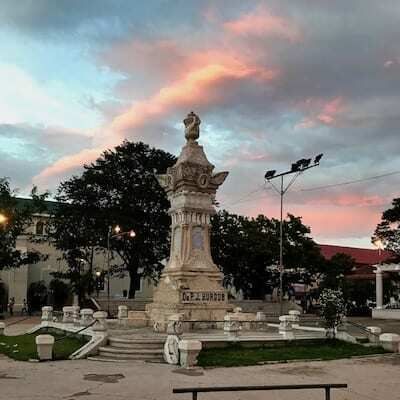 There are two plazas which are local focal points of Vigan. They’re easy to check out while walking around the city. Plaza Salcedo is the one with the dancing fountain, although the fountain was not operating when we were there. (The odd thing was, people still came to sit on the bleachers flanking the fountain around the time it would normally come on). St. Paul Metropolitan Cathedral, commands the view at the end this Plaza. Plaza Burgos is a pleasant little square just south of the cathedral. An ornate monument to Father Burgos stands in the middle. ◊ But are you game for a bit of chess? 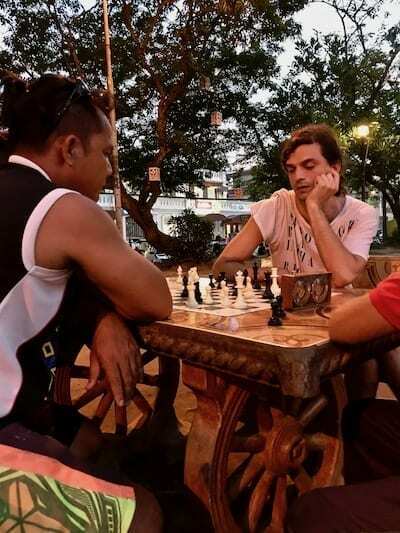 Add this to your things to try out in Vigan: challenge a local to a game of chess! Bring your best game though – the local chess players, including children, are very good! Plaza Burgos has chess tables on one side, which seem to always have players. They’re nice tables too, with the ‘legs’ shaped like kalesa wheels. Jason is a bit of a chess player, so before long he was coaxed into a game. We stopped by twice; near sunset, and again in the daytime. And the chess regulars were there both times! Across the Govantes River is another local Vigan sight – Bantay Bell Tower and St. Augustine Parish Church. 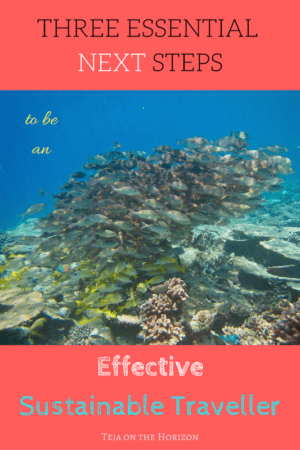 This article gives you more on these attractions. We did not walk here from Calle Crisologo, but got off the bus on the way back from a hike. The church has a maroon-and-white facade which is somewhat interesting, but the interior is actually relatively plain. The bell tower, although not very tall by today’s standards, was once the tallest structure in the region. Consequently it served as a watchtower as well as the bell tower for the church. Climbing up to the top of the Bantay belfry where the bells are, you get a nice view of the surrounding country. The arch looking out towards the cemetery has a great view of the mountains. We wandered around the side of the church, I guess because it looked nice and leafy with climbers draping roots over a path from hanging beams. That’s when we stumbled upon a little chapel that was a sort of ruin. It looked like it was once attached to the church. Among, and not apart from, nature. It turns out that the ‘Chapel by the Ruins’ was part of the original church, which was damaged in the World War. There was still an intact wall, where an altar has been set. The side walls are only partly standing, giving it a look of ruined ancientness. Epiphytes are allowed to ramble and cling where they can. Benches are arranged, open-air. There was something elfin about the combination. Magical, fairylike. I thought about the close mosques of my country, and how much more natural I felt when I discovered the open-air and wide spaces of the mosques of Morocco. And I remembered as well, how glad I was that the first temple of the Himalayas I came upon, was a forest shrine on an Annapurna trail. 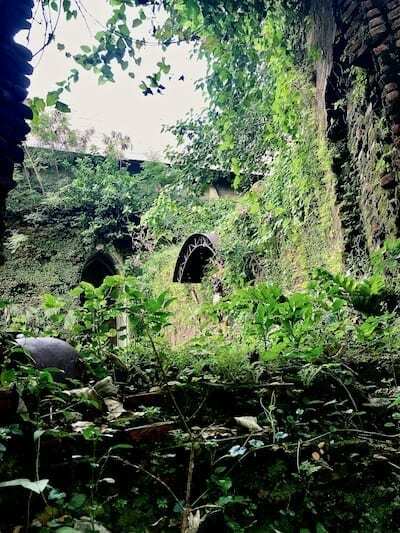 How much lovelier and truer to the soul to pray within the ruins, among greenery and life, than within the close and cloistered walls of its neighbour! Bonus Activity – a hike near Vigan! If you’re hankering for a bit of wildlife and greenery, we also found a hike near Vigan. Although technically it is closer to the town of Santa, as far as we can tell it’s the nearest forest to Vigan that you can hike in. Read about the hike here. Next story What! There Are TWO Love Stories in Agra? Previous story Is Boracay Worth Going in the Rainy Season? Great post! Would love to add this to my upcoming trip to the Philippines. I think it could be a part of a northward sort of trip along Luzon island, yes! Or even just an ‘alternative’ stop by plane, instead of (or to provide contrast to) the usual suspects of El Nido and Boracay. Wow this looks like an amazing city with so much history. Thanks for sharing! You’re welcome! Yes, it is a very important city for Philippine history! Vigan seems like an interesting city! Sometimes it’s nice when things don’t go quite as planned. Allows you to explore new things. Yes, I’ve come to accept – even embrace – changes of plans. And it’s nice when you’re not alone when this happens. Never heard of Vigan before so this was a whole lot of new information about a place I’m now very intrigued by! It was a good little off-the-beaten-track find, yes! Vigan is an amazing place if you love the history. If you’ve been there you will appreciate how people lived during those times. The manner of the people there certainly has a different feel to it – more civil, kind of. Like Southerners, in the US.